Background: Myalgic Encephalomyelitis/Chronic Fatigue Syndrome (ME/CFS) is categorised by the World Health Organisation as a neurological condition. It is poorly understood and people with ME/CFS report experiencing stigma. Research suggests that stigma might be linked to functional ability. Purpose: This study investigated the relationship of stigma to factors associated with functional ability. Additionally, the use of standardised measures allowed for comparison of stigma severity in ME/CFS to other neurological conditions. Method: A convenience sample of 206 people diagnosed with ME/CFS completed mailed or online self-report standardised measures of stigma, health, ability to participate in social roles and activities, and their satisfaction with this ability. Findings were compared to published data for three neurological conditions. Results: Stigma scores were significantly correlated (p < .0001) with all self-report health and functional measures (range: −.30 to −.42). 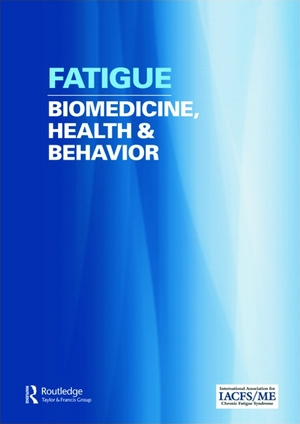 The ME/CFS sample reported higher levels of stigma (d = 1.30) and lower levels of health (d = 1.86–2.16) and functioning (d = 1.63) than the comparison conditions. Conclusions: Consistent with studies over the last two decades, people with ME/CFS report higher levels of stigma when compared to the other conditions. The stigma is not just associated with health but also with specific measures of functional ability.